We offer the highest quality and most talented entertainers in Los Angeles and throughout Southern California. Services include Balloon Art, Balloon Twisting, Balloon Decorations, Face Painting, Magic, & Juggling. Want some truly incredible balloon creations for your next special event? We would love to twist up whatever you and your guests would like! We look forward to help making your next event truly special with some amazing and beautiful balloon twisting. Say hello! Balloon Decorations are taking balloon twisting to an even larger scale. We love doing balloon decorations for any and all occasions and there is no better way to make an impact on your next event with some beautiful large scale creations! Have an idea? Drop us a line! We offer the very best face painters available. Most of our face painters trained at Disney, some are international rockstars, and can do the most beautiful designs out there! We use only the highest-quality, kid-safe products on the market. 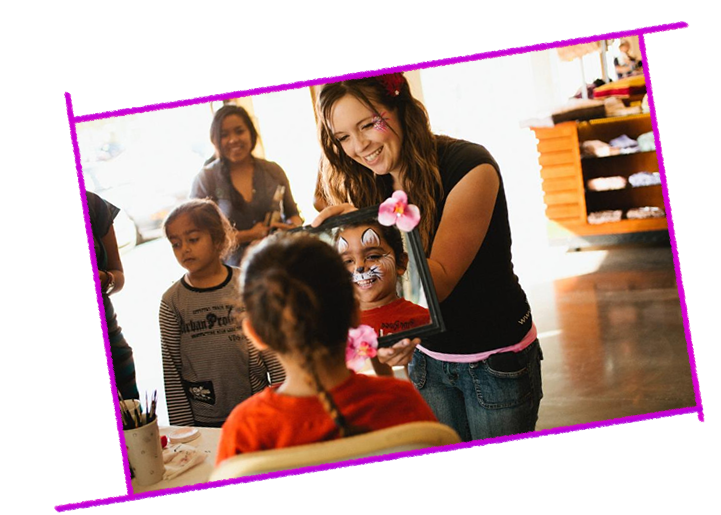 Let us know how we can help make your special event even more special with some amazing face painting, glitter tattoos, airbrush, or even henna. Get Quote! We offer Magicians for all types of events! 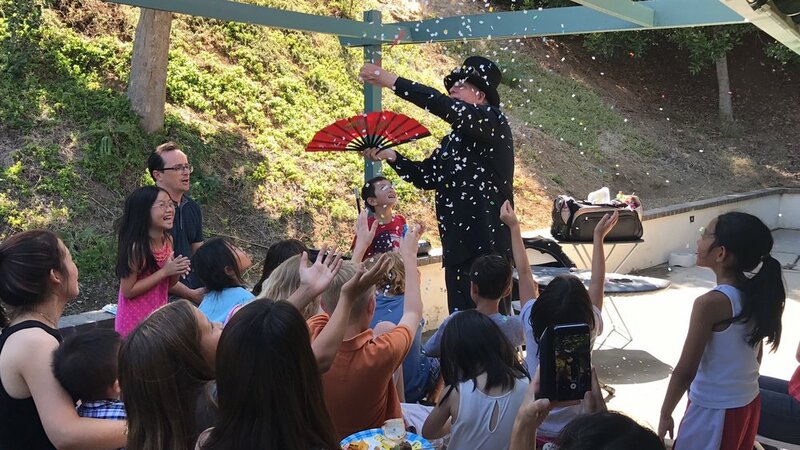 Strolling, close-up magic, stage magic, and smaller shows for birthday parties and special events. Many of our Magicians are currently amazing crowds at the Magic Castle in Hollywood! Make me disappear! Want to see some insane skills? Kids and adults love watching jugglers stroll around a party or do an insane show. 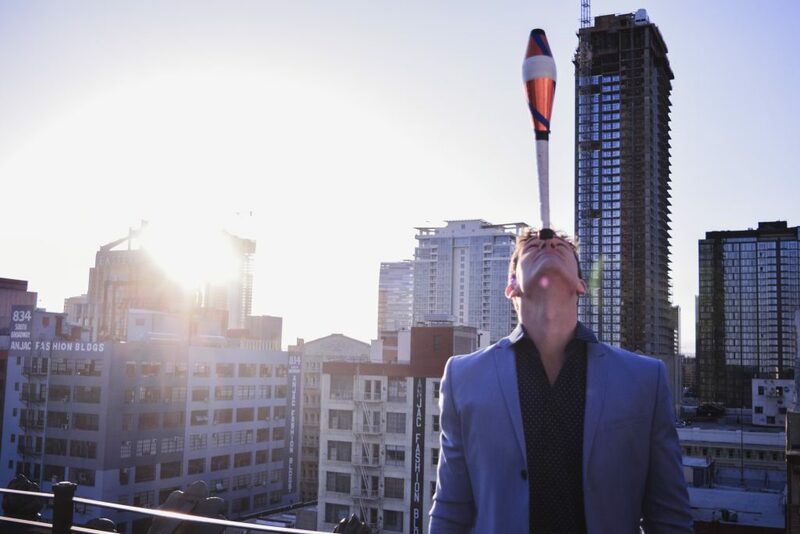 We have some of the most amazing Jugglers in the business. How does he do that? Everything! The Balloon Guy includes all the balloons, equipment, tools, and fun that your party will need. Balloon decorating for your party or event is also available. We also offer face painting, magicians, jugglers, costumed characters, and more. The Balloon Guy has been twisting balloons since he was 12 years-old. He started doing balloons professionally at age 15. He then continued to work across in North Carolina, Virginia, Washington D.C., and Ohio before moving to Los Angeles, California. He has worked all over Southern California for celebrity events, Universal Studios/NBC, Disney, Starlight Children’s Foundation, The Magic Johnson Foundation, Industry events, company picnics, government, city events, birthday parties, special events, mitzvahs, charities, churches, temples, malls, restaurants, businesses, television shows, movies, and commercials. 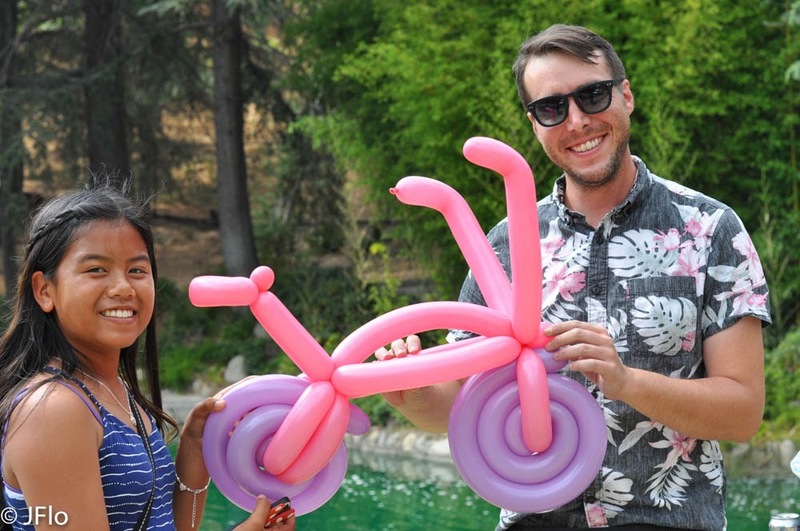 He is known throughout the industry as one of the best balloon artists in Southern California. How long is a typical birthday party? 2-3 hours is what most people choose. What kind of shapes can you do? We can do tons of creations for your party and we can even coordinate with your party theme! Some creations include: Monkey on a palm tree, Lion, Octopus, Giant space sword & shield and jet pack, Spider Man, Elmo and Sesame Street Characters, Disney Princesses, Butterfly wings, Insane Hats, Rainbow, Giant Spider, Princess Heart Wand, Bicycle, Motorcycle, Flower bouquet, & hundreds more! If you want a specific theme for your party or certain characters just let us know. My party has a theme can you coordinate? Yes! Just let us know what your theme is and we can help bring it to life! Do you do balloon decorating? We are pride ourselves on creating new and innovative designs and working with our clients to create the best possible experience for their party. If you have an idea for your balloon decor please let us know and we will always try and do our best! At least, one month advance notice is the best. Our schedule fills up fast, but sometimes we can fit you in last minute. Please contact us as soon as you can. Generally, we travel up to 20 miles and after that additional fees apply. However, we go all over the place! We service West Hollywood, Studio City, Los Angeles, Bel Air, Beverly Hills, Pacific Palisades, Santa Monica, the West Side, Sherman Oaks, Glendale, Burbank, Pasadena, West LA, Westwood, North Hollywood, Van Nuys, Woodland Hills, Thousand Oaks, Echo Park, Silver Lake, Hancock Park, West Hollywood, Laurel Canyon, Topanga Canyon, Malibu, Orange County, Santa Clarita, Valencia and many more cities. We would love to work with you on your event! What are the balloons made out of? The balloons are made out of latex and are biodegradable at the same rate as an oak leaf in your backyard. They are 100% green and safe for the environment. 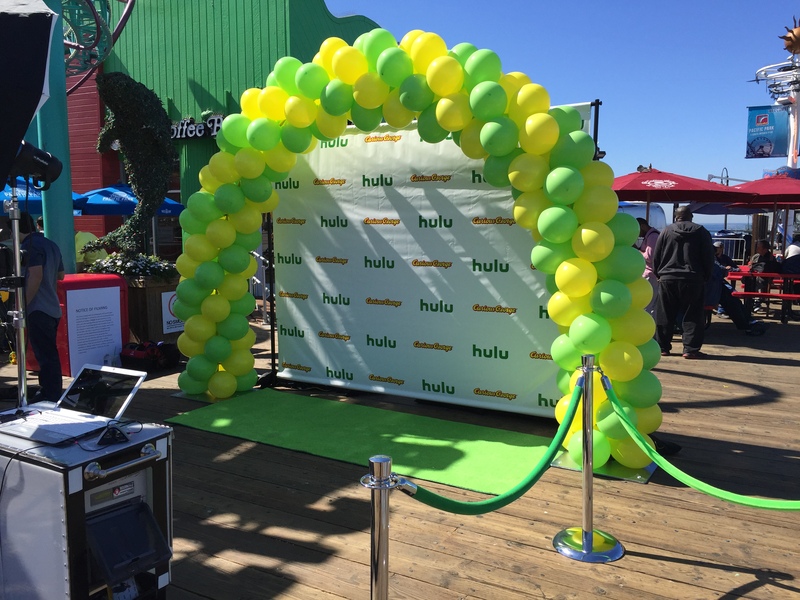 If you don’t hear from us within 24 hours please call 424-253-8517 or email sean@theballoonguyla.com! Thank you and look forward to hearing from you!